The Zayed Sustainability Prize recognises pioneers whose work and spirit of enterprise has resulted in sustainable and humanitarian solutions across communities around the world. It is also a significant vehicle for generating support for the global sustainability agenda, and rewards excellence in individuals and businesses that are seeking to reduce global carbon footprint, develop an inclusive society and bring about sustainable development. The various categories which are considered for the Prize are Health, Food, Energy, Water and Global High Schools. In its eleventh year now, the Zayed Sustainability Prize also rallies for renewable energy by recognizes visionaries and motivating research and development in this field. The Prize seeks to acknowledge and reward solution based innovations that attempt to provide coherent and urgent responses to the pressing needs of sustainability. The Zayed Sustainability Prize carries forward the vision and legacy of UAE’s Founding Father, late Sheikh Zayed bin Sultan Al Nahyan. At its annual awards ceremony, on 14 January 2019, accolades were handed out to 10 winners, each category being awarded $600,000 (Dh2.2 million) for their projects. In the Health category, ‘We Care Solar’ received the award for its Solar Suitcase, a portable maternity device to assist with childbirth and related medical services in off-grid rural areas. Powering critical lighting, these provide adequate lighting in low-resource areas, ensuring the safety of mothers and newborn babies. Tanzania’s Sanku, won the Food category, and is a non-profit organization that reaches out to communities vulnerable to malnutrition, and currently helps a million people on a daily basis in East African countries. In the Energy category, BBOXX, an affordable clean energy solutions provider to off-grid communities in Africa, emerged as a clear winner. 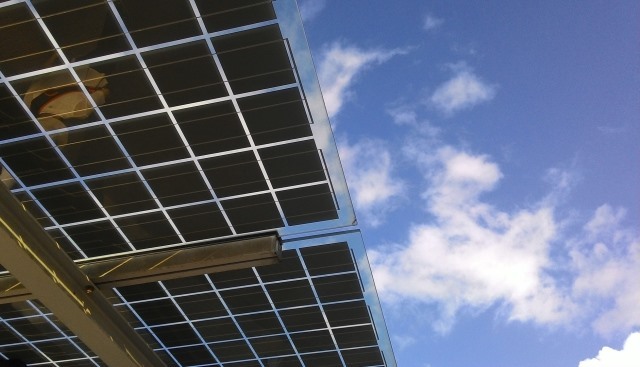 The UK-based renewable energy company designs, manufactures, distribute and finances innovative plug & play solar systems to improve access to energy across Africa and the developing world. ECOSOFTT, the winner in the Water category, was awarded for its decentralised community water management standard, which outlines a set of solutions for source management, water use, water recycling and discharge. The Zayed Sustainability Prize is now inviting organizations to submit their existing models that are making a real world impact. In order to participate, you are required to fill this application form. There is no fee for submitting your application. Submissions for this year remain open until 30 May, 2019. Yusra Khan is pursuing her graduation at the University of Delhi and is presently interning with the Delhi Greens Blog Project at Delhi Greens.